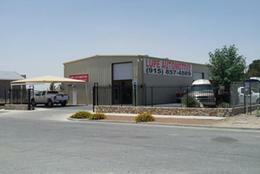 Lupe Automotive Inc was founded in 1990. We are located at 3621, Esper Drive El Paso, Texas 79936. We serve the El Paso, Biggs Air Field and Fort Bliss areas. We have been offering quality auto and truck repair in El Paso for over twenty years and over the years we have gained enough experience to undertake even the most complicated auto repairs. Our team of experienced engineers have the necessary knowledge and experience to service and repair all makes and models of import as well as domestic cars. In order to offer reliable solutions, we make use of the latest technology to assess the problem. You will be a happy customer when you leave our auto shop. Copyright © 2014 Lupe Automotive INC. All Rights Reserved. shop is acknowledged as one of the best in El Paso Texas. We pride in using the latest technology to offer various auto repair solutions and this has enabled us to remain at the top. Our services are second to none. We aspire to offer the best in customer service. We go the extra mile and do the little things that really make a difference in service provision.